Friendly staff and really good Pho right next door. Also, a nice park right down the road. Didnt know had to have 100 for a down deposit so i couldn't sleep there after they already booked it and no refunds ,they just take your money ruined my whole night !!!!!!! Nothing place was disgusting. Staff was good but, couldn't overlook the nasty rooms . Needs updated fast . Didn't eat breakfast left to early for work. But the beds were very comfortable and clean my room service was awesome. No eggs. Waffle great. Tub notivceably stained. Jennifer sweet @gmail.com was excellent. Welcoming and competent!! Give her a raise. I got charged for a towel that had some hair color on it from my hair that fade. Just think its crazy cuz i have never got charged before like that. I liked the value of this place. The breakfast was very basic, but it was included, which is nice when travelling with y children. The check-in process was smooth. Howard Johnson by Wyndham Denver West This rating is a reflection of how the property compares to the industry standard when it comes to price, facilities and services available. It's based on a self-evaluation by the property. Use this rating to help choose your stay! 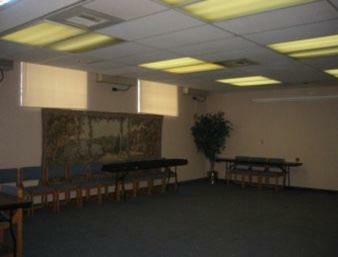 Each air-conditioned room offers a flat-screen cable TV and a tea/coffee maker. A private bathroom equipped with a hairdryer is also included. Denver is 8.1 mi from Howard Johnson Denver West . 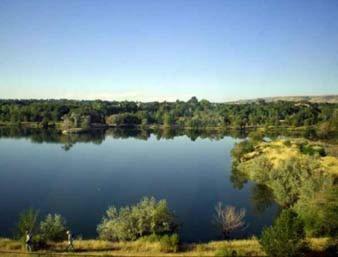 The nearest airport is Denver International Airport, 35 mi from the property. 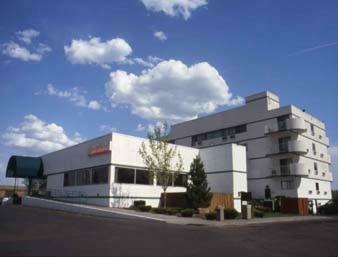 When would you like to stay at Howard Johnson by Wyndham Denver West? This room features a flat-screen cable TV and a tea/coffee maker. A private bathroom equipped with a hairdryer is also included. Offering a balcony, this suite also features a flat-screen cable TV and a tea/coffee maker. A private bathroom equipped with a hairdryer is also included. This double room features a balcony, cable TV and tea/coffee maker. This double room features a hot tub, tea/coffee maker and microwave. House Rules Howard Johnson by Wyndham Denver West takes special requests – add in the next step! Howard Johnson by Wyndham Denver West accepts these cards and reserves the right to temporarily hold an amount prior to arrival. There is a refundable deposit charged for incidentals at this property that is returned upon check-out pending a damage inspection. Contact the property directly for deposit amounts. Very poor experience here. The mini fridge didn't work, so all the groceries I had spoiled. Staff unhelpful and would not let me talk to ta manager abut this. None of the ice machines worked (on all four floors were broken). Heat also broken. Gym equipment outdated and one machine wouldn't turn on. Spend the extra $10-20 and stay somewhere else. My microwaves didn’t work and it smelled weird. Staff, customer service! That was breakfast? $100.00 damage DEPOSIT !!!!!! Everything but I could smoke in my room that was the only perk . They forgot to tell us we couldn't have our dogs (both weighing over 50lbs) until we went to check in. Both ice machines were out, their solution was paying $1 at the restaurant to get some. I’m already spending money to stay there but to keep paying on top of that is ridiculous. Run down, dirty and staff extremely rude. Not a single thing. Refrigerator didn't work, nor did the shower head, tv, or remote. Obvious homeless drug trafficking taking place in the main lobby. Was poorly lite in parking area. And oatmeal, and waffles do not make a continental breakfast. Will never stay there again.